The GDC 2016 schedule delivers once again. It looks like Codemasters’ EGO Engine 4.0 (the version used in F1 2015) has already received the DirectX 12 treatment and Principal Programmer Tom Hammersley will talk about it in a session alongside Leigh Davies, Graphics Software Engineer at Intel. The description actually goes into a fair amount of detail, mentioning Raster Ordered Views (AVSM, Decal Blending) and Conservative Rasterization (voxel based ray tracing) as DX12 features added to the EGO Engine in order to enable new graphics effects. 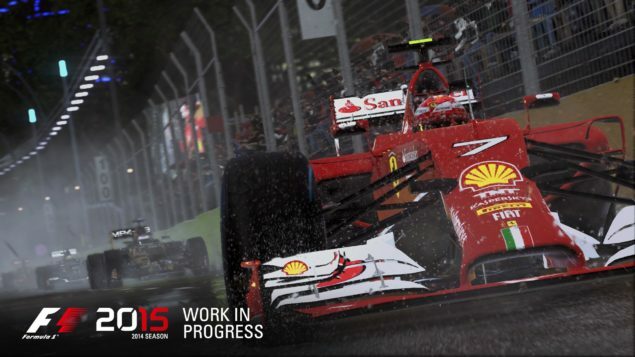 Codemasters present a post-mortem on their new rendering engine used for F1 2015 detailing how they balanced the apparently opposing goals optimizing for mainstream processor graphics, high end multi-core and DX12. The F1 2015 engine is Codemasters’ first to target the eighth generation of consoles and PC’s with a new engine architecture designed from scratch to distribute the games workload across many cores making it a great candidate for DX12 and utilise the processing power of high end PC’s. This session will show the enhanced the visuals created using a threaded CPU based particle system without increased the GPU demands and also cover the changes made to the engine while moving from DX11 to DX12. We will also discuss the graphics effects added using the new DX12 features Raster Ordered Views (AVSM and Decal Blending) and Conservative Rasterization (Voxel based ray tracing) adding even greater realism to the F1 world. What’s interesting is that like Just Cause 3, F1 2015 does not currently feature DX12 support. Will these games receive DX12 patches, or is it just a way to get the engines ready for the next titles? Let’s hope to gain some insight on this during the respective GDC 2016 sessions. Still, it’s nice to see that more developers are finally getting ready to support DirectX 12.